The drugs being tested are called senolytic agents, because they target senescent cells. These are cells that have stopped dividing and secrete toxic chemicals that damage adjacent cells. Accumulation of senescent cells, which increases with age, is associated with chronic conditions, including diabetes, cardiovascular disease, most cancers, dementia, arthritis, osteoporosis, and frailty. Researchers at Mayo Clinic's Robert and Arlene Kogod Center on Aging developed the first senolytic drugs to target these harmful cells. In a recent study led by The Scripps Research Institute, Mayo Clinic researchers and others confirmed that the senolytic drugs discovered at Mayo effectively clear senescent cells while leaving normal cells unaffected. The study, which was published in Nature Communications, also describes a new screening platform for finding additional senolytic drugs that will more optimally target senescent cells. The platform, together with additional human cell assays, identified and confirmed a new category of senolytic drugs, which are called HSP90 inhibitors. 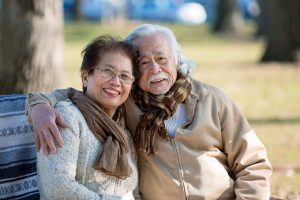 Funding for the review article was provided by the National Institutes of Health; the American Federation for Aging Research; Aldabra Biosciences; The Connor Group; the Noaber Foundation, the Ted Nash Long Life Foundation, the Glenn Foundation; and Robert and Arlene Kogod Center on Aging, Mayo Clinic. The research for the study published in Nature Communications was supported by the National Institutes of Health; The Connor Group; the Noaber Foundation, the Ted Nash Long Life Foundation, and the Glenn Foundation; the American Federation for Aging Research; and Aldabra Biosciences. Mayo Clinic and Drs. Kirkland, Tchkonia and Zhu have a financial interest related to this research.